succeed in college and their future careers. inspire future education and career choices. urban museums working with at-risk students. the amount of $45,000. 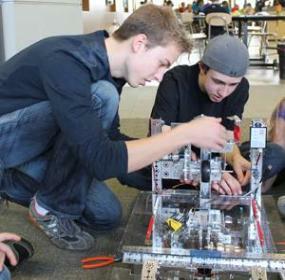 The donation is earmarked for the iSPACE FIRST Robotics programs. families and the community. iSPACE programs spark curiosity and inspire interest in STEM. on to pursue a four-year college degree. To learn more about Cincinnati Museum Center's Youth Programs, visit http://www.cincymuseum.org/youth-programs. 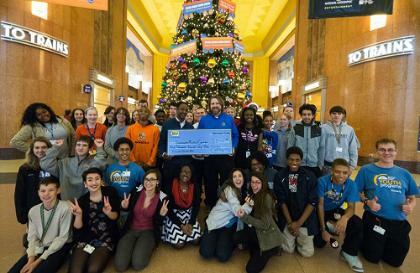 High-fives Best Buy and Cincinnati Museum Center's Youth Programs! an atmosphere that encourages team building, entrepreneurship and sportsmanship. To learn more about iSPACE, visit http://ispacescience.org/. High-fives P&G Fund of The Greater Cincinnati Foundation and iSPACE!